Samsung may have inadvertently leaked its next smartwatch ahead of its upcoming Unpacked event in August. 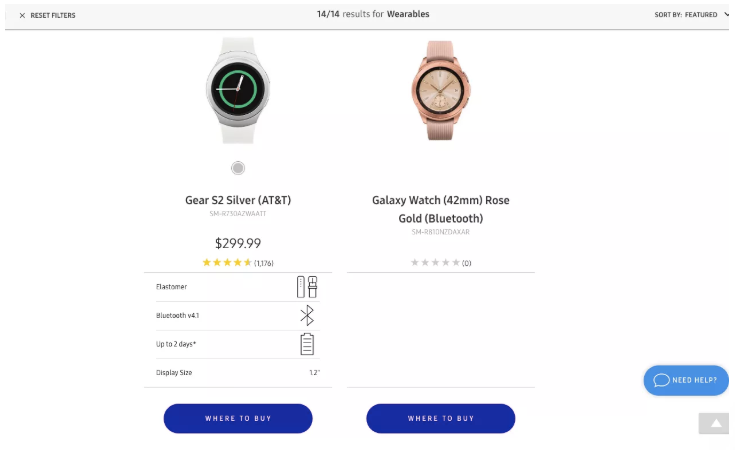 Twitter user @sugabeticme discovered a product listing for the Galaxy Watch (which has since been removed) on Samsung's own site that showed an image of a 42mm Galaxy Watch in a Rose Gold color with Bluetooth. The design looks somewhat similar to the Gear S3, and the mention of a "Bluetooth model" suggests there may also be a cellular model. The Galaxy Watch is expected to be launched alongside the Galaxy Note 9 at Samsung's Unpacked event in New York next month.